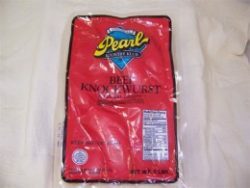 View cart “4 to lb All Beef Large Knockwurst” has been added to your cart. 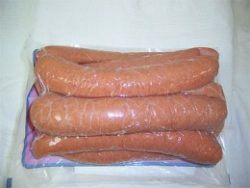 A combination of beef and pork blended with our seasonings and slowly smoked. 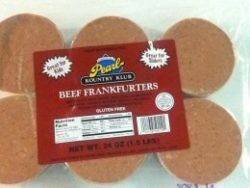 The results is a milder tasting frankfurter that the kid’s just love to bite into. 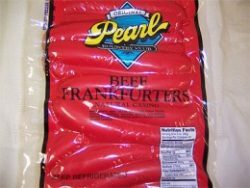 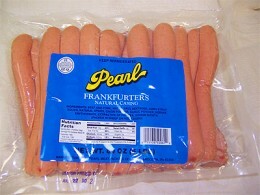 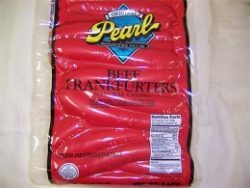 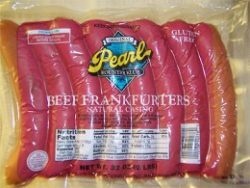 Pearl Meat 8 to lb Beef & Pork Franks (Small) 5lbs.